There’s a change in the air-waves – Behind the Scenes with KEITH MILWARD and PETER KINGSBURY! 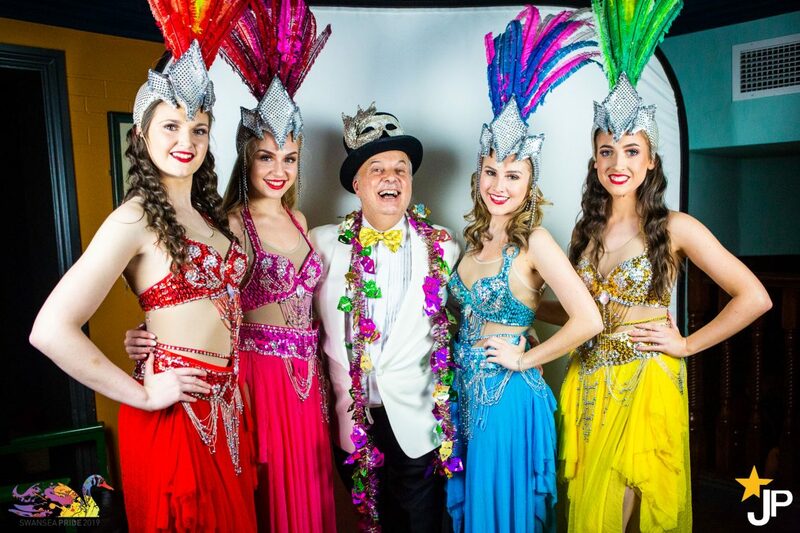 A Behind the Scenes Look into Swansea Pride Hits the Dance Floor 2019! 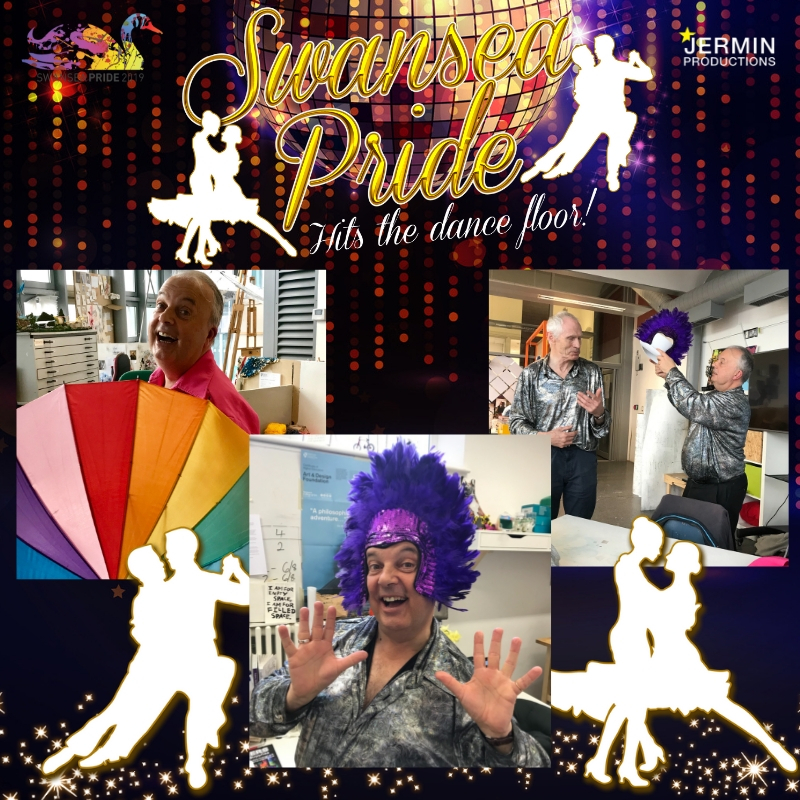 With only ONE month to go, our Swansea Pride Hits the Dance Floor couples are feeling the heat! As the dances get harder, and the event looms closer we popped into the rehearsal room to meet two more couples as they prepare to dazzle on the dance floor this May. This week we caught up with a couple who we are absolutely Radio Gaga for! With the help of their choreographer, our couple will be dropping their radio mics and picking up their salsa heels in the hopes of raising that Glitter Ball Trophy on 2nd May 2019! Hot on the sparkly heels of the competition, are our fabulous couple of the week… musical theatre aficionado and radio host, Keith Milward with partner, Peter Kingsbury; who are being led to glory by dance tutor Kelly Daley. We found Peter and Keith hidden under a pile of gloriously glittery and garish costumes and asked them how rehearsals were going. Thursday 2nd May is marked on our couples’ calendars with a big red cross, as the big day looms closer! Will Keith and Peter clinch that Glitter Ball Trophy and be crowned the winners of Swansea Pride Hits the Dance Floor? You can support Keith and Peter evening of Strictly Inspired fabulousness by booking your tickets from the link below and casting your vote live on the night! Who will be announced winners of Swansea Pride Hits the Dance Floor?